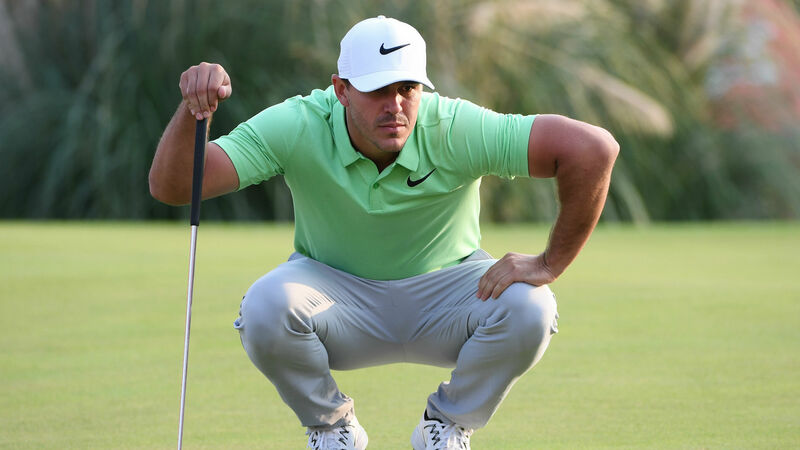 Two-time reigning U.S. Open champion Brooks Koepka doesn’t have a lot to prove right now, currently sitting fourth in the world ranking, but he still feels like he needs to make up ground. Koepka missed five months this year with a wrist injury, keeping him out of the Masters and two World Golf Championship events. But he has a win and a runner-up finish since returning, proving he’s healthy and still among the game’s elite. The three-time PGA Tour winner (two majors) heads to Glen Abbey this week to try and win the RBC Canadian Open. Koepka hopes to pick up some more FedEx Cup points as he’s adjusted his schedule. “Obviously the first four months were disappointing, missing that much time, that much time off. But ever since I’ve come back, I’ve obviously played well,” Koepka said Wednesday in his press conference. “I feel like my game is in a good spot, and right now is kind of a critical time with the Playoffs coming up. You’ve got a WGC next week, and then another major to follow it up. Need to be playing well. I feel like my game is in good shape, and I’ll try to get that No. 1 on the FedExCup. “We kind of had to reevaluate. Missing four months, the schedule got completely flipped around for me. I’m having to play a lot right now to play some events because I missed so much time. You fall back in that FedEx Cup. I remember just looking at it every once in a while. You just keep going backwards and backwards and backwards. I felt — missing a major isn’t fun. That’s a good place to really jump. Since his U.S. Open win last month, Koepka has played just twice: a T-19 at the Travelers Championship and a T-39 at last week’s Open Championship. After some tough tracks, he’s excited to play a more traditional layout this week. The PGA Tour schedule is in line for a drastic makeover next season, and the Canadian Open will be moved in front of the U.S. Open. Despite the change, Koepka still expects to make the trip north. “I like playing the week before (the U.S. Open),” Koepka said. “I think it’s good prep to know where your game is at. I wouldn’t be surprised if the golf course, they grow the rough up just to kind of imitate, I guess, Pebble a little bit. The only problem is you’re going East Coast to West Coast and then back to East Coast, so you might see some guys not play, just for the fact that they’re playing the week after.